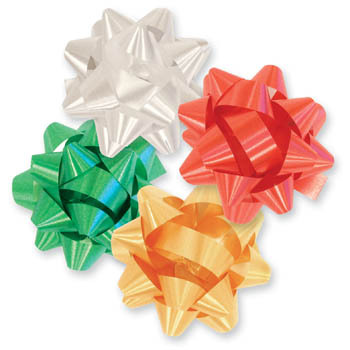 2" bows have 16 loops of 3/8" ribbon. Assortment of 300 includes White, Red, Gold and Emerald. Price per box of 300.